Stylish faux leather dining chairs in a choice of 16 colours built around a solid wood frame in a choice of 14 finishes. Normal lead time is 15-20 days. 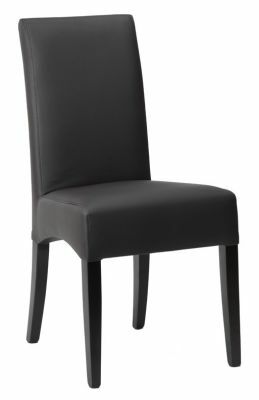 Hardwearing frame diningh chair with high back and square seat. Choose from a wide selection of faux leather upholsteries and contrasting wood stain finishes.